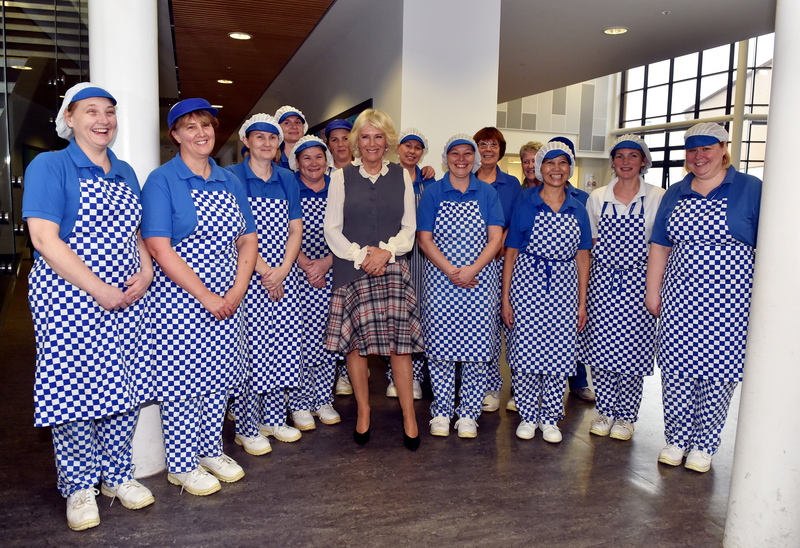 The Duchess of Rothesay visits Alford Community Campus. 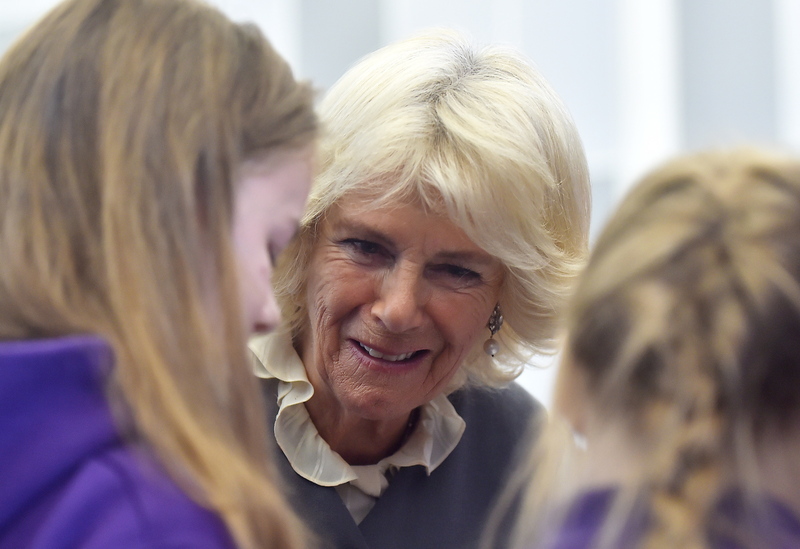 Hundreds of pupils were greeted by a royal visitor when they attended school yesterday morning. 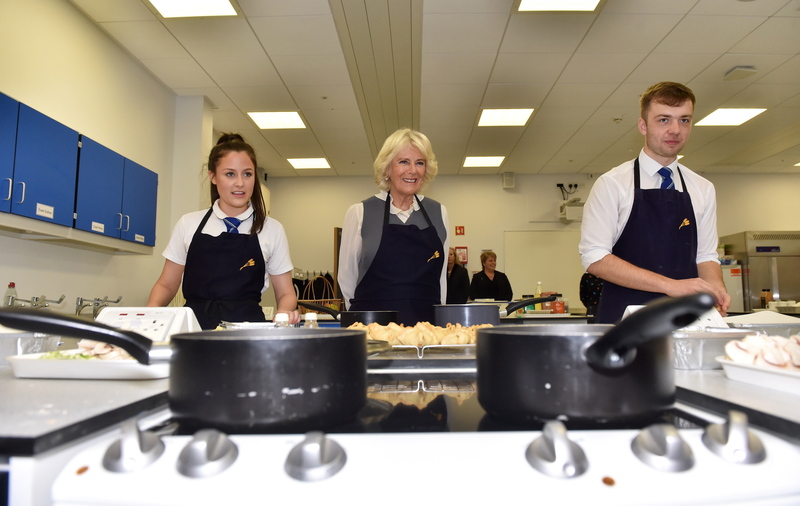 The Duchess of Rothesay brought a smile to the faces of youngsters when she visited Alford Community Campus. All of the academy’s feeder primaries attended and created various displays related to their harvest festival celebrations. 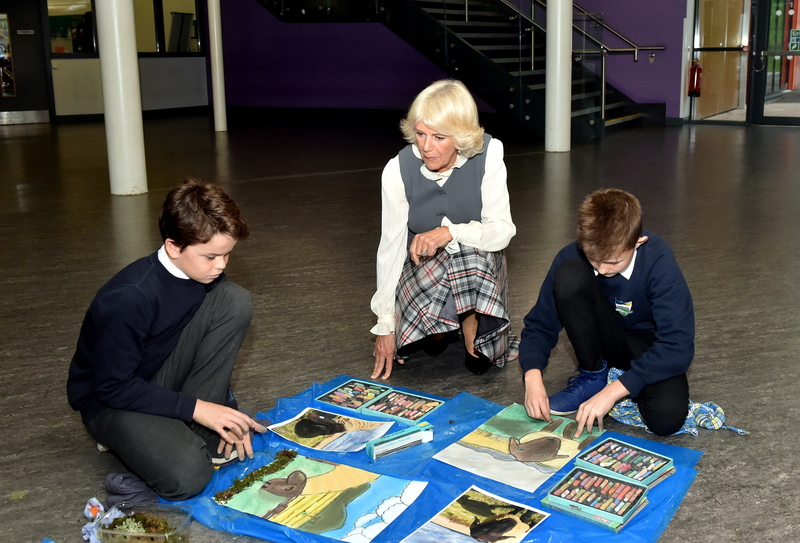 The duchess took time to speak with children and staff at each individual stall and seemed particularly taken with Tough Primary’s stand, where they displayed water colour paintings of Bennachie. She even tried her hand at mixing the different colours and also had a go at pronouncing Doric phrases with Monymusk pupils. And the duchess was also heard joking to one young boy from Echt that she better not shake his hand if he still had glue on it. The academy staff then took her to a home economics class where senior pupils were making apple and cinammon parcels and crusty vegetable bake. And her day was capped with a live performance from the school choir and band, who performed a harvest medley, complete with impressive Highland dancing. Deputy provost Ron McKail paid tribute to the duchess and the pupils for their efforts before inviting her up to unveil a plaque marking the visit. The duchess then took time to thank everyone and said what a lovely experience it was, on the first visit to the school, which was opened in 2015. She said: “Before I leave, I just wanted to say what a lovely visit I have had here today. “It’s lovely to see all the schools here together, big or small, doing their part for the harvest festival. Katie Penny, 10, was one of the Tough pupils displaying her Bennachie artwork. She said: “It was really exciting to meet her. 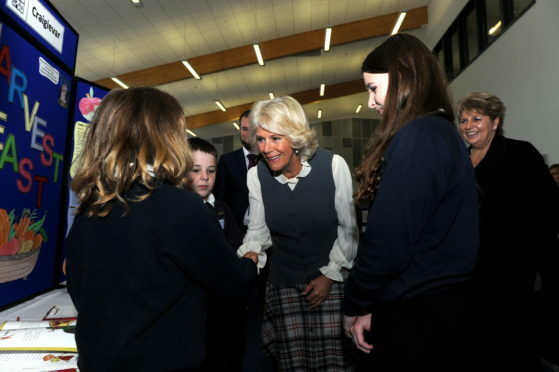 Head teacher at the school Laura McAllister added: “They were all really excited to meet the duchess. The duchess will visit Crathie Primary School and the recently-opened Duke of Rothesay Highland Games Pavilion, which was made possible by her husband’s foundation.